I can see your point, but now if the current state of Homebirth isn't satisfying as far as safety goes what are we suppose to do? I would think that reducing the high risk mom access to it would be a first step. The education and training of the midwives should be a close second in my opinion. This isnt about oppressing women, but more about offering the safest possible scenario to them. I think the coroner's point was that the midwives were not offering quality care, so saying that it's a lack of quality care driving women to them completely misses the point. I seem to be getting traffic from Dr. Amy's site. I understand that you (anon commenters) have different viewpoints than HA or Hannah Dahlen. I just resist proposals to further curtail women's choice. Both anon comments made statements that X action (mandatory hospitalization for certain pregnant women) is "safest" or not "quality care" and that's exactly what I take issue with. What is safe or quality care isn't a fixed or absolute point, but something that each women will experience and evaluate differently. I'm not trying to impost home births on all women, or even saying that women with X or Y risk factor should home birth across the board. I just want women to be able to make their own decisions about what happens to them and about what kind of care they receive. In contrast, both of you support a system that would take away choices, in the name of safety. I'd rather expand choices and find ways to keep women from becoming obstetric refugees in the first place. It is homebirth advocates who hide facts in order to deceive women. Anon (we need numbers or something...hard to keep people straight! ), I don't think we're disagreeing quite as much as perhaps we both make out to be. I do take issue with the idea of reducing/limiting access, i.e., removing choice with the equation. I also really strongly take issue with your generalized assertion that "homebirth advocates hide facts to deceive women." I'm not seeing any fact hiding going on; in fact, a previous post linked so several articles about the goings-on in Australia. Plus, if you've ever read my article about attitudes towards home birth, I addressed the findings about HB outcomes for higher risk situations. Your statement is just fuel to the fire for the supposed "birth wars" and I can't support that. I'm so over the birth wars. The problem with statistical risk is that it's not a perfect, objective answer to each individual woman's situation. Some women will choose HB (or other choices, such as elective cesarean or whatever, but I guess let's keep it on HB for the moment), even if the risk of an adverse outcome is elevated, because the other options are so unacceptable. Whether or not the risk is acceptable shouldn't be the decision of politicans or government regulations or obstetric bodies or hospital policies. I really feel it should reside with the woman who is having the child, since she's the one whose body bears the child and who lives with the consequences of her decisions. I don't think this means that anyone who chooses something that's statistically more risky is somehow "asking for" or "deserving" a bad outcome. Risk is such a complex, culturally-mediated issue, and it can never be a simple matter with a clear objective answer. So how would you determine whether a particular midwife was guilty of malpractice? Or are you saying that even talking about the possibility of a particular midwife being incompetent "limits women's choice"? I wasnt anonymous...I signed my name! Seriously... home birth is fine, but not at all costs. These proceedings were initiated by 4 dead babies in a SHORT period of time. Do you understand how long it would take a hospital based CNM to lose 4 otherwise healthy babies? We are talking decades or longer. Some will never lose that many during their entire career. Same with OBs. Barrett is a WILDLY unsafe provider, and I'm glad the coroner understands that more oversight is needed. What is the least safe of all is making a woman feel like she has no choices and forcing her to make a decision that leaves all parties unsatisfied. I had a UC with my last birth because I wanted a homebirth, but no midwife would take me on and the doctors I was seeing treated me horribly as well. I'm not saying we should completely deregulate midwives, but we should not place so many restrictions and requirements on them that it makes it impossible to be one or to have one attend a birth. Also, what was the total number of live births in the study where the four babies did not survive? The latest data I can find shows a neonatal mortality rate in the US of 9.3 per 1000 births. This is one of the worst in the world, and considering that the majority of births still take place in the hospital, it's logical to say that most of these deaths also take place in the hospital, but no one is up in arms about women choosing to give birth there. I grow very weary of that birth statistic. First, and most importantly, that includes preterm babies as early as 22 weeks. No other country actually counts babies that early in their statistics. Second, its been well established that we are the most unhealthy 1st world country by far. This affects pregnancy as well. Being hugely obese (I delivered a baby to a 300lbs women last week) has multiple adverse consequences to the baby. This one was a particularly nasty shoulder dystocia. Third, while it may not be the "ideal" place to give birth for many people, the hospital is safer. Period, end of discussion. Rixa you keep talking about choice, but what about informed choice? would you support a system that allowed allowed women of all risk levels to HB, as long as the providers were required to inform patients of the statistical likelihood of maternal and infant death? I think the coroners main thrust is that women are not being provided accurate information. In accurate information is an infringement on womens' autonomy. Right on, RobynHeud. I do all my family's dental care in my living room because dentists are mean and even my naturopath refused to fill my cavities. Who cares about safety, amirite? The four babies who died were sadly not from a study, they were delivered by Lisa Barrett. By one person. The coroner notes that these babies would not have died if they had been born in hospital. @Rixa- how do you feel about Lisa providing high risk parents with false information- thereby infringing on their right(a right you seem to take more seriously than the human lives hanging in the balance)to make an informed choice about their "birth experience"? Of course I wonder how these 4 parents would feel about their experience and LOSS..
How do you feel about women ignoring high risks, and throwing caution to the wind, their "right" and "experience" more important than the life they are carrying? How do you feel when cpms and MANA refuse to release their death rates? I support CNMs for low risk women. I know I'll be judged, but seriously- how can the NCB community support this woman? I mean she's caused thr death of 4 babies. I would think you'd want her gone from the practice so there was room for a properly trained midwife, who had real education and was providing quality services to women- it would bring POSITIVE attention to your cause. Why don't you respond to Dr. Amy? What are your thoughts On Lisa faulty, dangerous information? And how do you feel about the 100% preventable deaths of these babies? Last anon, I don't feel like I can really respond to many of your assertions since they're loaded with implications that we don't have enough information to evaluate. Throwing around the rhetoric of dead babies is a way to hide the other issues that need addressing, ones that won't be solved by universal elective cesarean (which is ultimately what the coroner is saying and which is ridiculous as a proposed solution). Sure, you could eliminate any death or injury by shoulder dystocia by having all women undergo elective cesareans. But is that actually a reasonable solution? I don't think so! It's not so easy, then, to simply say "aha! preventable deaths if they'd just had elective cesareans!" Many, many women still value vaginal birth and aren't willing to have elective cesareans as a "preventive" measure. Here's an analogy to make my point. After Princess Diana's death, some people I know used her death to illustrate why Divorce Is Bad. Because if she hadn't had gotten divorced and hadn't been with her boyfriend, then she wouldn't have been driving in Paris that day and wouldn't have died in a car crash. Yes, technically that is true but it's kind of missing the point. Sure, if these women had had elective cesareans their babies might have survived but obviously we're missing the point by throwing this piece of rhetoric around. (shoulder dystocia? "the woman obviously should have had an elective cesarean!") It's easy to play armchair OB after the fact and point fingers, whether we're saying "she clearly should have had a c/s" or "she clearly shouldn't have been induced." In the other person's case, years ago I told her she wasn't welcome to comment here because she was engaging in bullying and was unable to have thoughtful, productive discussions. From then on, she continues to comment here, knowing that I will delete anything she writes (even if it's something like "home birth is awesome! "), then she uses this as proof that "home birth advocates can't handle the truth." It's deliberately baiting me and then claiming that she's the victim. I'm not going to play that game. The coroner's report is not an indictment of homebirth and certainly does not suggest that universal caesarean section is the answer. I challenge anyone to suggest that if elective caesareans had been performed before labour began that these four babies would not be alive. The coroner does not say the mothers should have taken this option, but that in all likelihood they would now have live children IF they had. It shows that some of the mother's involved were not given access to all of the information that a skilled UNBIASED practitioner would and should have given them so they could make an informed choice about their births and their level of individual risk. For me (as a midwife) it also shows that Lisa Barrett is clearly incompetent. She seems so steeped in dogma that she proudly declared to a court statements of "fact" which a 1st year midwifery student would laugh at. During these births she either did not recognise emerging complications and on the occasions she did (e.g. severe shoulder dystocia) she was unable to act appropriately. And then she lied about it. This is not about a witch hunt for homebirthing, but exposing dangerous or unregulated midwives/birth advocates/activists who continue to push the line that having interventions in hospital is the absolutely worst thing that can happen to you. It is also about protecting high risk women contemplating homebirth who may be given a one sided view of childbirth because they only make contact with a single practitioner e.g. "your body never grows a baby too big for you". "Doctors want to give you a CS so they can go play golf". BS!! Why is the NCB ideology any different to the obstetric ideology they hate so much? Just the other end of the extreme, with THE MAJORITY of obstetricians and midwives somewhere in the(sane)middle. 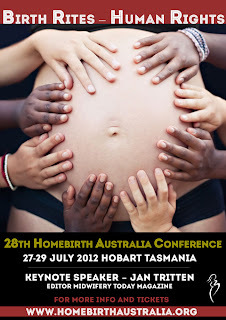 I support homebirth. Homebirth is very safe - for normal risk women before 42 weeks with a single head down baby and no co-morbidities or previous pregnancy complications. Research supports this. I have done homebirths. I have also attended a homebirth death which could not be predicted and despite being 5 minutes from hospital it was too late. I don't think that woman should be stopped from homebirthing. No matter what the outcome of that decision is. The pain, guilt and self-blame is, however, magnified a 1000 times for all concerned because of the "what ifs". Unfortunately this "birth advocate" with her apparent narcissistic need to "stick it" to the system has now damaged the midwifery profession and homebirth cause far more than the "evil OBs" ever could. At what point did I ever say anything about c-sections ? And dead kids are rhetoric? I never said sections were the answer, you made that jump to that assumption. I NEVER went there. Wow Just wow. I truly tried to engage you and give you the benefit of the doubt here and you pretty much spit on it and skirted the issue- ESP with your princess Di nonsense. You really had a chance here to have an open, honest dialogue and pretty much said 4 preventable deaths were just rhetoric. I hope those parents never see how cruel and unfeeling you are about their loss. I don't know that I've ever seen someone who was desperate to propagate a cause they shoveled so much b.s. at me. I was truly trying to be respectful before but now I see how faulty that was. I really wanted to know how you felt about Lisa Barrett's lies, and total incompetentance in addition to her complete lack of fundamental understanding of scientifically proven facts. Instead you disrespect 4 lost lives, and skirt the issue. AGAIN. Don't bother responding. You've pretty much shown exactly how little the actual lives involved matter to you. I'm very sorry I tried to engage you in a true conversation on the matter as its obvious you would rather play word games. Forgive the typos, I have trouble on my phone. I do want you to think about how many dead or injured children are acceptable to you, because to me a few stitches from a low risk section(which we'll never agree on- see I think of it like needing a cast when I break a bone, annoying but if I can walk and be normal in a few weeks rather than have it heal wrong, become infected and lose a limb I'm going to get over it.) I'd rather have a live normal child, who will not suffer it's whole life than a birth experience that is beautiful- but hey that's me- I don't think it's about me at all BUT my child.. There in lies our fundamental difference. Rica, the Coroner highlighted in his report that the mothers involved were not adequately informed of the risks specific to their situation. Therefore they were unable to make a fully informed decision when deciding upon a home birth. As someone who is obviously an advocate for women having choices, why are you not outraged by this? And when do hospitals provide labouring women with ALL the information they need to make a fully informed decision about the treatment(s) they will receive in a hospital birth? They tell you what they want you to know, to get the outcome THEY want. The hospital system is just as guilty of keeping information from women that is relevant to their particular situation. And yes some OB's DO IN FACT do CSs for reasons other than it being medically indicated. That is completely incorrect. How often do the pro home birth crowd talk about "scare tactics". They are not scare tactics at all, just information about risks so the Mother can make an informed decision. Why are you avoiding the topic of an unregistered Midwife providing Midwife care, in high risk situations, without providing full disclosure of the risks, and also lacking the clinical skills to handle the situation when it goes pear shaped. How is that a positive thing for women? You should be outraged. Four babies have died because of this ladies actions. Where has that occurred in a hospital? Rixa - in which part of the report does the Coroner recommend universal elective cesareans as an elective measure? You are knocking down a straw man - I have never seen anyone advocate doing this routinely. If you are truly an advocate for women's choices, wouldn't you want to make home birth safer? Wouldn't you admit that there are some situations where homebirth is unreasonably risky, and that rougue unregisered practitioners should not be involved. If all homebirths were attended by at least two registered midwives, fully equipped, allied to the local hospital, insured, and collaborating with an obstetrician, and following accepted care guidelines, with a liberal transfer policy, then homebirth WOULD be safer. If you only push an ideology but refuse to countenance ways in which the situation can be improved, it's hard to see you as a credible advocate. The Coroner did not call for the outlawing of homebirth - he called for the outlawing of callous disregard for safety, particularly in providers. Do you disagree? But let me leave this this. First, I feel like there's lots of accusations/misunderstandings flying around here and not really that much conversation happening. I can't give judgment on the particulars of the Australian cases, since honestly all we know is what the media has reported. I wasn't present during all of the prenatal visits, during the births, etc. So as much as people would love some kind of pithy judgement call, I can't give it. Maybe I misjudged the coroner's findings, but I felt that his logic really did point to universal cesarean section as the only way to eliminate risk. He didn't say that outright, though, and I see how my interpretation could be setting up a straw man argument. But again, it's always easy to point fingers after the fact--that's one of the reasons we have such a crazy malpractice crisis right now. Stating that these women should all have had elective cesareans is thus not really relevant to what happened, because that implies that the bad outcome was already completely obvious and certain. There are very few cases where there's absolute certainty before the fact. What I do want to say is that instead of using these cases to further restrict access to home birth and to further drive a wedge between women and the obstetric system (and I strongly believe that mandatory reporting of planned HB will do that--not exactly a way to build trust and foster communication), I'd like for there to be more exploration of how to improve choices in *all* aspects & locations of the maternity care system so we're not creating obstetric refugees in the first place. For example, if someone wants a vaginal breech birth, their actual options might not be anywhere close to what would be ideal for their situation. Where I live, even not too far from a major metropolitan area of over 1 million residents, VBB in a hospital setting is pretty much impossible to find (I know--I looked into it when Dio was breech). While I would love to have access to hospital-based providers who are very comfortable with and very experienced in VBB, and in a setting where I could choose to labor and birth in the position of my choice, my only real option in a hospital was a cesarean. And as for breech home birth in my area, I don't know...there weren't any really skilled/experienced midwives who'd done tons of vaginal breeches. My CNM was very supportive but had only had limited hands-on training and experience at that point. I maybe could have relocated to The Farm, but that would have been pretty crazy to arrange. I'm glad I didn't have to make the decision about VBB because I didn't feel like I had a supportive maternity care system with a range of reasonable options. After inviting Dr. O'Neill to do a VBB training workshop, I saw that he was a physician who was extremely skilled, comfortable with breech birth, and compassionate. He's the kind of option I would like to have if I had a breech baby. So here's as pithy as I'm going to get: I'd rather use the Australian case as a way to open conversations and to improve options rather than as a reason to restrict choice. Talk to women who choose "high-risk" home birth and really listen to why they did this. Look at improving their options so they don't feel like HB is their only way to have a reasonable chance at a vaginal birth or a satisfying birth (or whatever). Find ways for home- and hospital-providers to interact and share experiences so that there isn't this huge divide and mistrust. You are looking at the report with bias. I really think he was saying that under the care of an OB these problems would have been caught and/or the option for a C-section would have been available when emergencies arose. That would have absolutely saved these babies. I agree that having the option for VBB with a qualified provider is also an issue, but one that is hard to resolve. Malpractice insurance is outrageously expensive, especially for OBs. People in a hospital that want VBB and refuse intervention when something is wrong, will likely sue the doctor if the outcome is bad. How can you expect someone to put their life and the lives of their family on the line for such a small majority of patients? You really ought to read the full 106 page report. You have completely misrepresented the findings. Rixa is an academic. Not an OB, not a midwife and not a health professional or a lawmaker or a judge. She is considering these issues from another perspective, one that is more sociological in nature. I think the point that she has been trying to reiterate is that when we restrict women's choices, many will go underground or unassisted. She is stating a pretty basic observation she has come to through her research. Rixa is not telling women how to give birth, nor is she in a position to stop any woman who is determined to give birth in a manner that she chooses, no matter how ill-advised. Although "Dr. Rixa Freeze" does set herself up as some kind of health care expert, you can tell that she's not because health care providers focus their energies on saving lives, not pontificating about their sociological perspectives. I don't think Rixa has misrepresented herself. Sociology does have a place in the study of medicine. Google "medical sociology". Also, sometimes medical professionals take a break from saving lives to write down observations that come from a more sociological perspective. Ever read anything by Dr Michel Odent? There is no mention of the 4 totally preventable deaths caused by malpractice of an unqualified midwife in this post. Isn't that the point? Rixa, can you at least address the issue of incompetent midwives? You seem to be refusing to address this, even though several people have asked for your take on it. You keep framing this issue as one of choice, which completely misses the point and derails the discussion at hand. There are midwives who practice beyond their scope, who take on high-rik women, and babies are dying because of this. That's not an issue of choice, that's an issue of people claiming to be professionals acting negligently and unethically. You seem to be suggesting that this should be allowed so women can have the births they want. Are there no standards? As for the fear of women going underground and UC'ing if they're risked out of homebirths, well, THAT is a choice, and one I don't think they should be legally penalized for. A midwife who attends a high-risk birth at home because that's what the woman wants is saying that that birth isn't high risk, she's legitimizing unsafe practices, and that cannot be allowed.